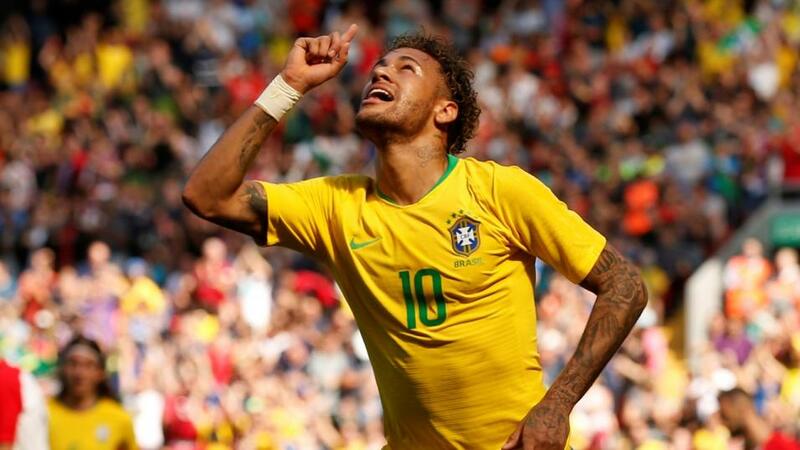 "Neymar divides opinion, and has done so far at this World Cup, but his contribution to Brazil’s efforts is undeniable. He is averaging 0.67 xG per 90 at this World Cup, and though he has only scored once, if his attacking process remains the same the goals should come." Brazil were very impressive in qualifying from Group E, creating a lot of good chances on their way to topping the group (7.1 xG). Mexico were fortunate to qualify from Group F at Germany's expense, with the reigning champions unlucky to be eliminated. Mexico were thumped by Sweden last time out (xG: MEX 1.36 - 3.09 SWE), and need to be much better here. Brazil are taken to win this game, and Infogol calculates that they have 68.8% chance of progressing, so backing a Brazilian to score first makes sense. Neymar divides opinion, and has done so far at this World Cup, but his contribution to Brazil's efforts is undeniable. He is averaging 0.67 xG per 90 at this World Cup, and though he has only scored once, if his attacking process remains the same the goals should come. This could be the game that he announces himself in this tournament, and backing him to score first is the selection. Belgium fielded a second team against England's second team in their last match, and came out on top. That meant they won Group G, and deservedly so. Belgium were the best attacking team in the Group Stage, generating the most expected goals (8.5xG), averaging a whopping 2.83 xG per game. Japan were fortunate to qualify from Group H, but did so thanks to having a better fair play record than Senegal. The Japanese are one of the weakest teams to have qualified for the Last 16, though, and Belgium will be licking their lips here. Four-goal man Romelu Lukaku has been exceptionally clinical at the start of this World Cup, but he should have scored closer to one from the chances he has had (1.33 xG), a level that isn't sustainable, so he is being swerved on that premise. Preference, instead, is for Eden Hazard, who has performed closer to expected (two goals, 2.48 xG), so he has been on the end of better chances than Lukaku. Taking a punt on Hazard to score first makes is the selection here.